For a limited time only, Pipette is excited to announce that customers who purchase either a Benchmark orbital shakers or Orbital-Genie Shaker will receive a free CAPP Bravo at no extra cost. Manufactured in Denmark, the CAPP Bravo Pipettes have been designed using over 3 decades worth of research to develop the most easy to use, reliable, and precise pipette on the market. Unlike other pipettes that available for purchase, the fully autoclavable CAPP Bravo features and elegant design, is 11% lighter in weight, and an even weight distribution. 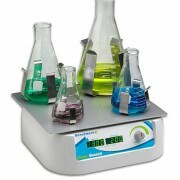 Originally priced at $260, it is a great free addition to any laboratory. 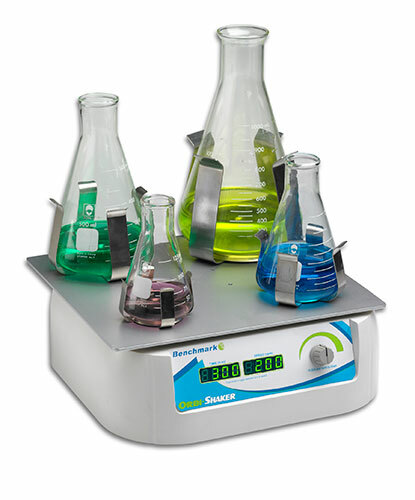 When purchasing an orbital shaker it is important to determine the features necessary for your work, minimum/maximum agitation, temperature range, temperature control, and whether it can be placed into an incubator or in a cold or warm room. The main function of orbital shakers is to move shaker bottles in a circular motion. At Pipette.com, we have orbital shakers for any laboratory setting from the New Brunswick Innova 2000, to the Excella E1, the Orbit 1900 shaker, and more! 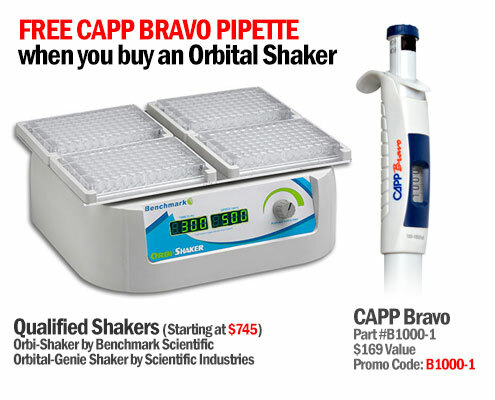 Both the Orbital-Genie Shaker and the flagship Orbi-shaker qualify for the free CAPP Bravo Pipette promotion. To learn more about the all of the orbital shakers that are available from Pipette.com and which qualify for the promotional CAPP Bravo Pipette limited time offer, visit online today!